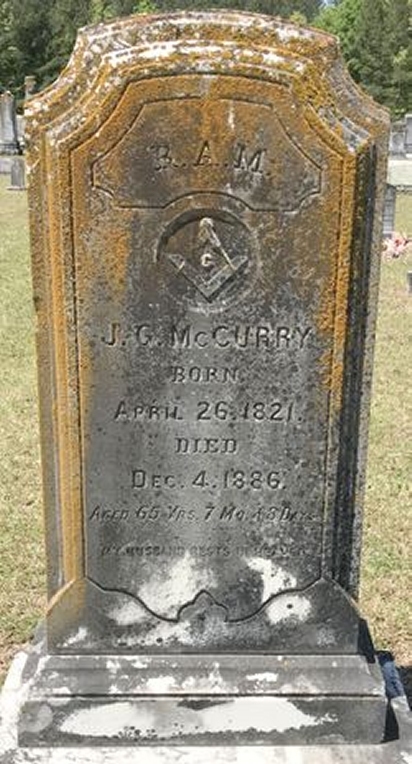 Honoring and remembering Lieutenant John Gordon McCurry Jr., of Company F, Thornton's Line Volunteers, from Hart County, Georgia. Enlisted as a Private 10/15/1861. Elected Jr. 2d Lieutenant 8/18/1862; 2d Lieutenant 3/29/1863. Roll dated 11/6/1864, last on file, shows him present. No later record. Confederate Service Record shows he was wounded at battle of Chancellorsville 5/4/1863, was admitted to Richmond Gen Hospital # 4 for gunshot wound and sent home on a 30 day furlough. 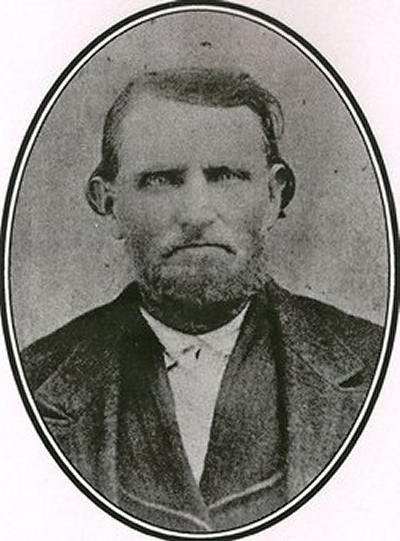 Born 4/26/1821, died 12/4/1886. Buried at Bio Baptist Church, Hart County, Georgia.